Chairs and regularly attends the Patrol Leaders' Council (PLC) monthly meetings occurring during his service period. Receives reports from all Patrol Leaders and Troop Guides. Oversees the planning efforts of Scouts for all Troop camp outs. In the cases where he cannot attend, he will mentor the assigned acting SPL through the planning. Regularly attends troop meetings, troop camp outs, and troop events during his service period. In the absence of the Troop Scribe, Historian, or Quartermaster should be prepared to perform the duties of those offices on a temporary basis. Receives reports from the Scribe, Quartermaster, OA Troop Representative, Troop Historian and Troop Librarian. Attend and keep a log of Patrol Leaders' Council (PLC) meetings. Posts the minutes of these meetings on the troop website and sends them to the troop mailing list. Writes thank-you's for any gifts received. Writes articles of upcoming activities for troop web-site. Creates a program for Court of Honors. Work with adult leaders to get the necessary information for the program. Keep a system for checking books and pamphlets in and out. Followup on late returns. Take and gather pictures at current troop activities (service projects, camp outs). Add them to the troop scrapbooks and work with the Webmaster to get them posted on the website. Creates a presentation (PowerPoint) of recent troop activities to show at Court of Honor. Attends both troop and lodge meetings and serves as a communication link between the lodge or chapter and the troop. 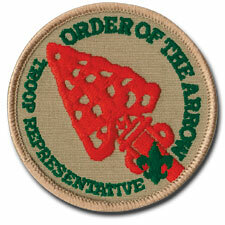 Arranges with the lodge election team to conduct an annual OA election for the troop at a time approved by the PLC. Provides information on Ordeal and Brotherhood opportunities to candidates and OA members. Note: Position does NOT count towards Eagle. 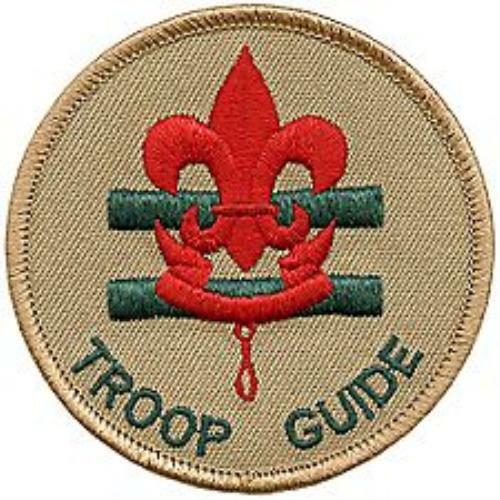 Help all first year Scouts earn advancement requirements through First Class. Advise new patrol leader on duties and responsibilities at PLC meetings. Attend PLC meetings with the New Scout Patrol Leader. Develop patrol spirit. Works with other leaders to make the troop run better. Assist the Patrol Leader in: planning and leading patrol meetings, helps keep members informed, prepares for troop activities. Take charge of the patrol in the absence of the Patrol Leader.. Note: Position does NOT count towards Star, Life, Eagle. Training is required for this position to count towards advancement. Informs scouts of proper disposal techniques to be used. A 16 hour training course is required to hold this position. Function as an Assistant Scoutmaster (except for leadership responsibilities reserved for adults18 and 21 years of age or older).